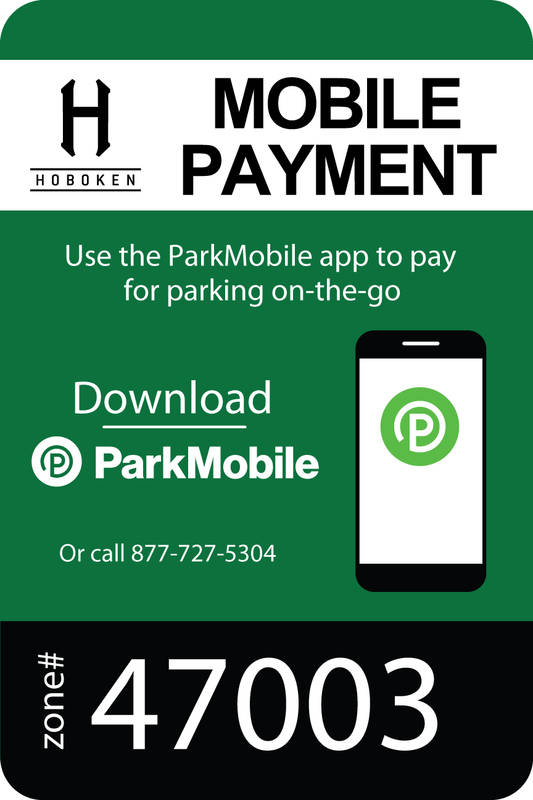 On Monday, October 1st, the City of Hoboken will restart the rollout out of its visitor side metered parking zone expansion to convert the 4-hour “visitor sides” of permit zones (white sign with green text) into 4-hour metered parking zones. Residents and all others with valid parking permits (including visitor hang tags) will be able to continue to park for free for an unlimited amount of time in the new zones. Vehicles without permits will still be permitted to park for 4 hours (as before) but will now be required to pay a fee. Mobile payment zones have the potential to save millions of taxpayer dollars by allowing meters originally purchased for the visitor side metered parking zone expansion to instead be used to replace existing meters throughout the city that are nearing the end of their useful lives. I have a Resident Permit: No change. You do not need to pay for parking in the visitor side metered parking (4 hour) zones. You must still pay for parking at 2 hour meter parking zones. I have a Business, Temporary, Senior, or other parking permit: You do not need to pay for parking in the visitor side metered parking (4 hour) zones. You must still pay for parking at 2 hour meter parking zones. I am a visitor and have a visitor permit or hang tag: You do not need to pay for parking in the visitor side metered parking (4 hour) zones. You must still pay for parking at 2 hour meter parking zones. I am a visitor and do not have a visitor permit: You may still park for up to 4 hours at all times but now must pay through Parkmobile between 9am and 9pm. You must still pay the meter at 2 hour meter parking zones as well.